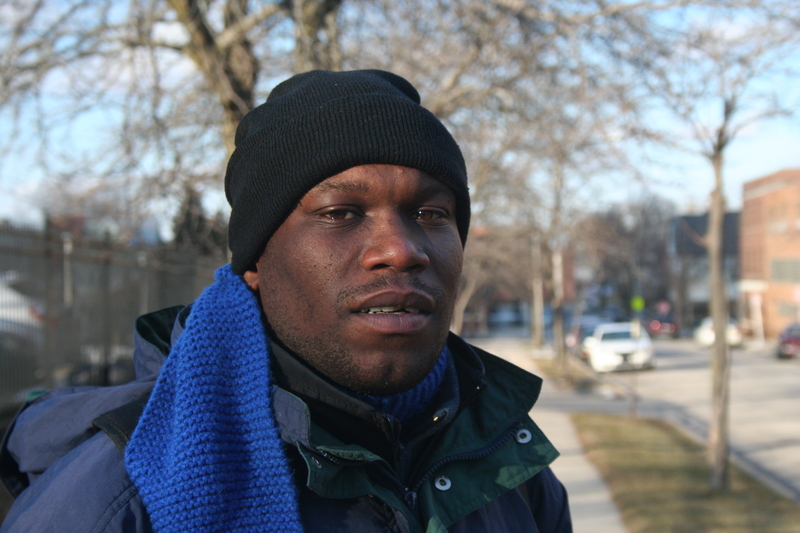 Jimmy Johnson hurries down West Kilbourn Avenue — he’s on his way to the library and stops to ask for a dollar or two so he can get on the bus. Temperatures are in the negatives, with a biting wind, despite clear and sunny skies. Jimmy says shootings and other occurrences of that nature were the norm growing up near 38th and Garfield on the city’s North Side. Even so, he says his mom and dad were good parents. Once in Milwaukee, Jimmy attended Sholes Middle School and, later, Washington High School. But he fell in with the wrong crowd and didn’t end up graduating. He recalls the case of Charlie Young, a 36-year-old man who was brutally beaten to death by a mob of 10- to 18-year-olds in 2002. After the beating, which was described as “chilling” by an assistant district attorney, many of the boys expressed regret, seeming to not have understood the effect of their actions. These days, Jimmy has a “nice job” working at Goodwill. He says he still makes bad decisions sometimes but he’s learned a lot, too.